Every day, the Montreal SPCA works actively to protect animals against negligence, abuse, and exploitation. Because of generous donations, they are able to help over 15,000 animals every year and give a second chance for the most vulnerable animals. 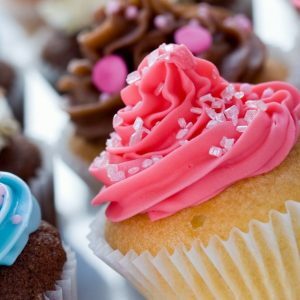 Emma Boutique Gourmande is proud to support the Montreal SPCA by offering 50% of the Animal Lovers Cupcakes Box sales towards this cause. Help us help the SPCA to give animals a voice! Banana cupcakes filled with strawberry jam and topped with our signature peanut butter buttercream. 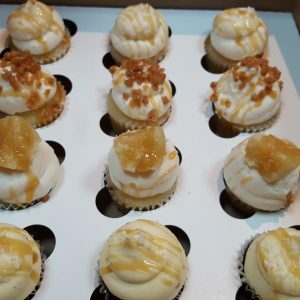 Fresh apple cupcakes filled with our homemade salted caramel and topped with our famous vanilla buttercream. Signature vanilla cupcakes, filled with chocolate buttercream and topped with a generous swirl of salted caramel buttercream and a chunk of Twix candy bar. 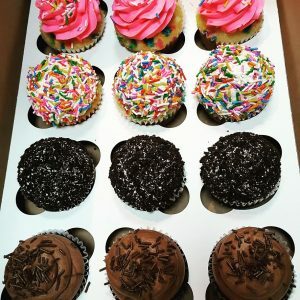 Signature vanilla choco chip cupcakes, stuffed with our homemade cookie dough and topped with our famous vanilla buttercream and more chocolate chip dough. A delectable selection of our most tasty holiday favorites. Decorated to impress, our Christmas box will certainly make a beautiful addition to your holiday celebration. Emma chooses her faves of the day and you let yourself be deliciously surprised! 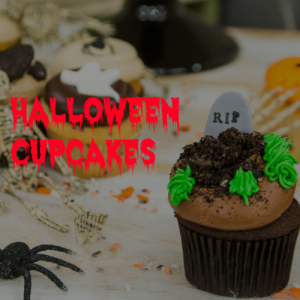 12 of our spookiest cupcakes, baked and decorated to cause you fright and delight!